Our Sunday school takes the timeless truth of God’s Word and brings it to life. You’ll also meet people with common needs, people who will encourage you, rejoice with you, and pray with you. 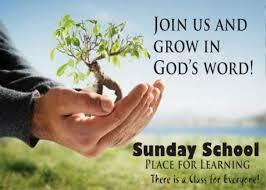 Join us every Sunday morning at 9:30am for a Sunday School Class of your choice.